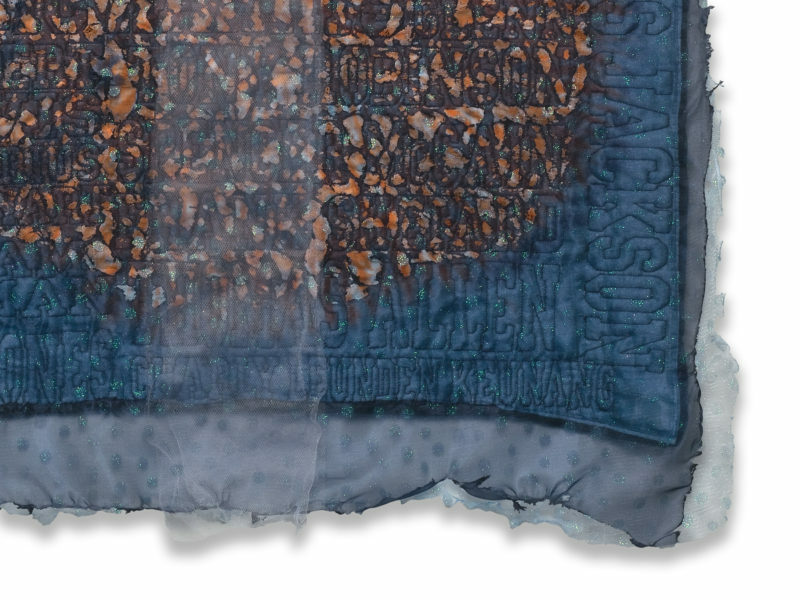 Elegy for the Beautiful Son, hand-dyed, hand-worked liturgical linen (maker unknown), layered and quilted with the names of African American boys and men killed at the hands of police, then burned. 36” x 33”. 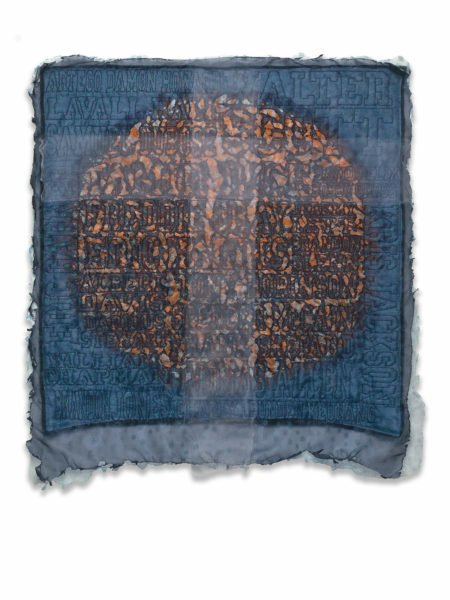 It is part of the Sacred Threads 2017 exhibition. Elegy for the Beautiful Son by Mary Vaneecke, detail.